This quickbread, like all quickbreads, sounds like it might be good for you because it has a vegetable (er…fruit) in the title. While this trick used to fool moms, I think we all know the truth: we are eating cake for breakfast! 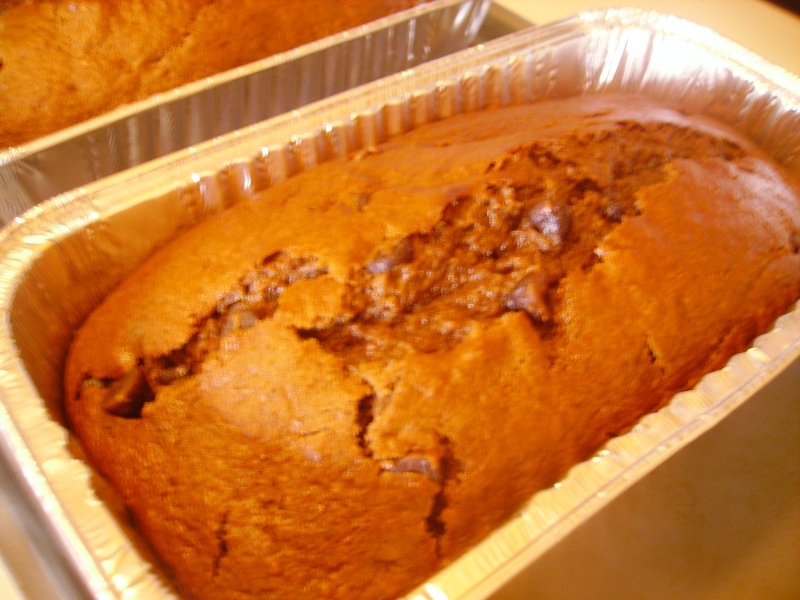 So put on your blinders, grab your sugar and chocolate chips, and let’s make a pumpkin laced, lightly spiced, bread-shaped chocolate cake that will go over like gangbusters, even with the crazy kids that think pumpkin is gross. Warning: This recipe makes 3 loaves. Before trying this at home, make a plan of how you are going to get rid of at least 1 of those loaves. Bring it to work, bring it to Bible study, make it for brunch, bring it to your friend who doesn’t like to bake but loves sugar. Plan to be generous and share these cake/breads, and your waistline will thank you! Combine the sugar and oil in a mixer bowl. I substituted ½ cup unsweetened applesauce for the same amount of oil, just to bolster the nutritional side of this recipe slightly. If you didn’t know that was possible, prepare to have your world rocked: applesauce functions much like oil or melted butter would in most baked goods, and it’s fat-free! But be careful of replacing all of the oil with applesauce, because it can change the taste (especially if you are making vanilla cake…) and make the cake/bread/brownies spongier. Experiment to find the right ratio…half seems to work well for me. Add in the eggs and mix thoroughly. 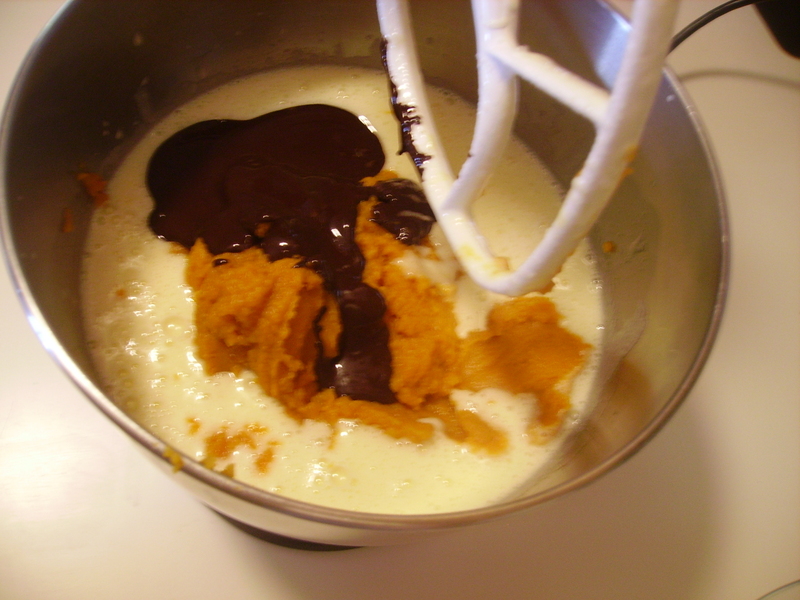 When the resulting batter is light and creamy, stir in the pumpkin, melted unsweetened chocolate, and the vanilla extract. 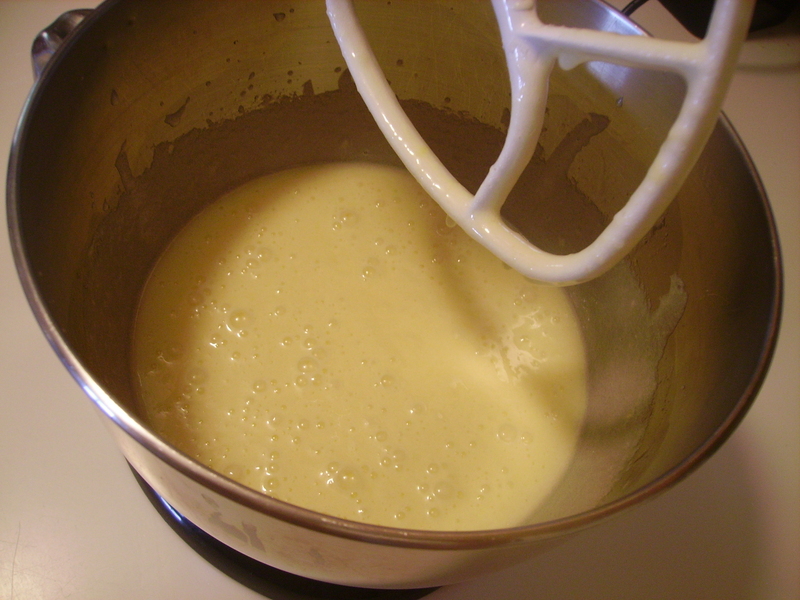 While the batter is mixing, whisk together the dry ingredients in a separate bowl. Stir the dry ingredients into the wet ingredients. Add in the chocolate chips. Be careful not to overmix. 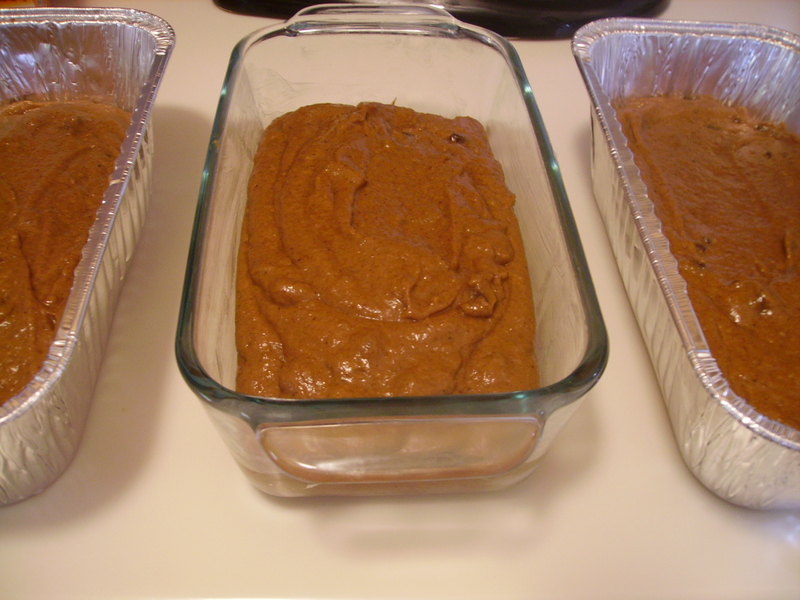 Pour the batter evenly into 3 greased loaf pans. I prefer to buy some foil pans for this project, since the loaf pans I have are all different sizes. It’s important that the loaves bake up evenly. Bake for 55-65 minutes. My loaves were perfect after an hour. In large bowl, combine sugar and oil. Add eggs and mix well. Stir in the pumpkin, chocolate, and vanilla until fully combined. 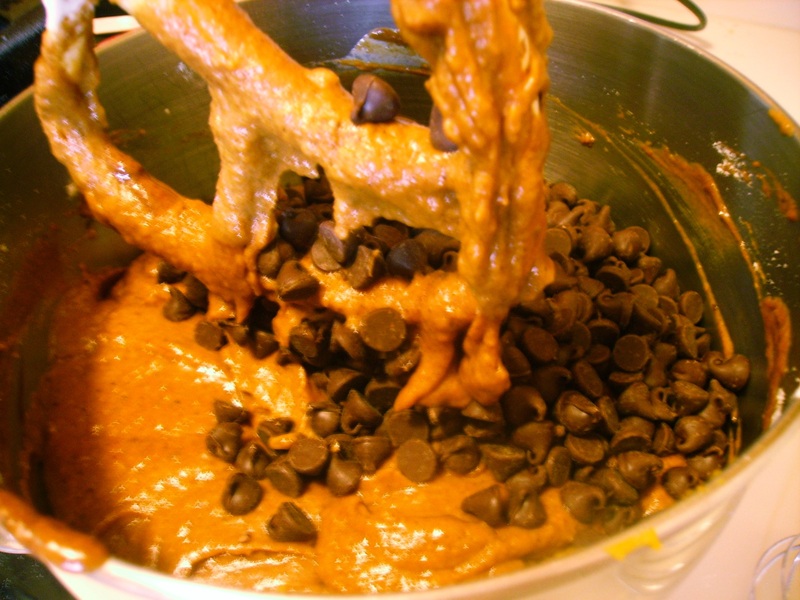 Combine the dry ingredients in a separate bowl; stir into pumpkin mixture just until blended. Stir in chocolate chips. Transfer to three greased 9″x5″ loaf pans. Bake 55–65 minutes, or until loaves pass a toothpick test. Cool for 10 minutes before removing from pans to wire racks. *Note: Unsweetened applesauce may be substituted for up to half of the oil.